Bibs feature 100% cotton print front and 2 layers of soft absorbent flannelette on the reverse. 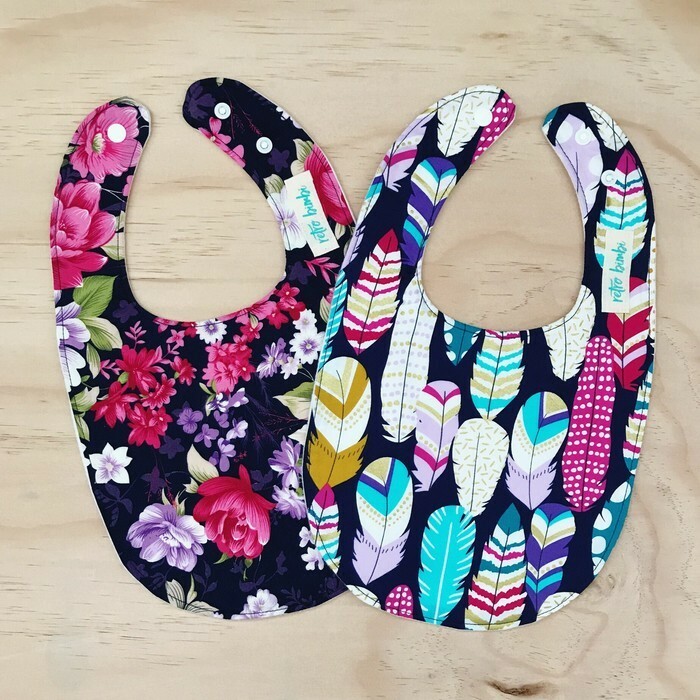 Bibs can be washed and popped in the dryer. Bibs measure 19cms wide and 17cms from under neck. *please note fabric placement may vary to the bib pictured........the most you will pay in postage for a retrobimbi order is $8.50 tracked post Aust. wide for as many times as you like.